The winning Team from Manatee High School Green is the New Black. 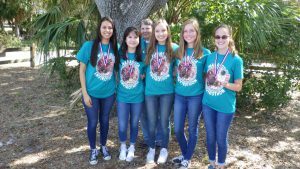 At the annual Manasota Regional Envirothon about 100 students, representing seven Manatee and Sarasota county high schools, competed at Oscar Scherer State Park in Osprey. The Envirothon is an outdoor environmental team competition for high school students, testing their knowledge of aquatics, forestry, soils, wildlife, and this year’s current topic ‘Rangeland Management’. Placing first for Manatee County was team ‘Green is the New Black’ from Manatee High School. Palmetto High School’s team ‘The Aftershocks’ placed second. In third place was team ‘A$AP’ from Manatee High School. Team ‘Tree Thuggers’ from Sarasota High School placed first for Sarasota County. 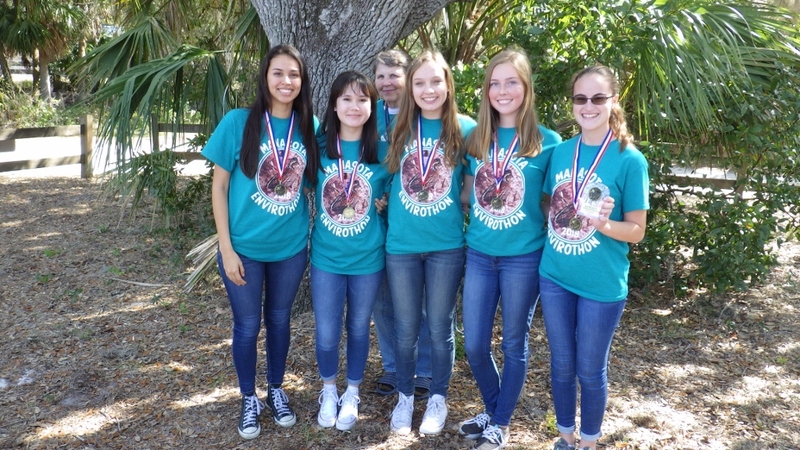 Sarasota County’s Suncoast Polytechnical High School team ‘Renegades’ and ‘Falling Iguanas’ from Riverview High School placed second and third, respectively. First place teams from each county are eligible to compete in the State Envirothon in April. Manatee River Soil and Water Conservation District along with Sarasota Soil and Water Conservation District sponsor the annual competition. Lunch was donated by the Manatee Fish and Game Association and prepared by the Florida Forest Service. Sarasota County Farm Bureau and the Mosaic Company sponsored the event t-shirts. Keep Manatee Beautiful and Keep Sarasota County Beautiful sponsored the awards. Manatee County Parks and Natural Resources Department, Florida Forest Service, USDA-Natural Resources Conservation Service, UF/IFAS Sarasota County Extension and Sustainability, and Oscar Scherer State Park volunteers also participated.